Juergen finished his Industrial Engineering Degree in 2003 in Germany and has since worked in the power industry in the field of industrial ecology with a focus on heat recovery systems, energy from biomass and waste, as well as concentrated solar power. This work required skills to assess technical, economic, environmental, and social aspects of projects in order to realise the best outcome for various clients. 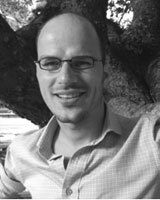 In March 2011 Juergen started a PhD at the Institute for Sustainable Futures. The topic of his research is “Investigating the role of concentrating solar power hybrid plants using non-conventional back-up fuels in Australia”. This paper categorises different concentrating solar power (CSP) hybrid options into light, medium and strong hybrids and discusses the combination of CSP with coal, natural gas, biomass and waste materials, geothermal, and wind. The degree of hybridisation depends on the interconnection of the plant components. Light hybrids create only limited synergies, such as the joint use of a substation, and their cost reduction potential is therefore limited, while strong hybrids share major plant components, such as steam turbine and condenser, and can better match their energy output with electricity pricing. The hybridisation options for CSP with different energy sources are plentiful ranging from feedwater heating, reheat steam, live steam to steam superheating with some options better suited for a specific energy source combination than others. The synergies created in hybrid plants can lead to cost reductions of 50%, better energy dispatchability as well as revenue maximisation. Several CSP hybrid studies exist for coal, natural gas and biomass but these are often investigating a specific hybrid concept. This paper considers several options at a higher level and also includes geothermal and wind which is novel. While the paper focuses on Australia the approach taken and concepts discussed are transferable to other countries. Recently, the first concentrating solar powerbiomass hybrid power plant commenced operation in Spain and the combination of both energy sources is promising to lower plant investment. This assessment investigates 17 different concentrating solar powerbiomass hybrid configurations in regards their technical, economic and environmental performance. The integration of molten salt thermal storage is considered for the best performing hybrid configuration. While thermal storage can increase plant output significantly even 7 h full-load thermal storage plants would generate the majority of the electricity, 70%, from the biomass resource. Only mature technologies with references >5 MWe are considered in this assessment to ensure that the scenarios are bankable. The concentrating solar power technologies selected are parabolic trough, Fresnel and solar tower while the biomass systems include grate, fluidised bed and gasification with producer gas use in a boiler. A case study approach based on the annual availability of 100,000 t of wood biomass is taken to compare the different plant configurations but the results are transferable to other locations when updating site and cost conditions. Results show that solar towerbiomass hybrids reach the highest net cycle efficiency, 32.9%, but that Fresnel-biomass hybrids have the lowest specific investment, AU$ 4.5 m/MWe. The investment difference between the 17 scenarios is with up to 31% significant. Based on the annual electricity generation CSPbiomass hybrids have an up to 69% lower investment compared to standalone concentrating solar power systems. The scenario with the best technical performance, being solar tower and gasification, is at this point in time not necessarily the best commercial choice, being Fresnel and fluidised bed, as the lower Fresnel investment outweighs the additional electricity generation potential solar towers offer. However, other scenarios with different benefits rank closely. Australia's extensive solar resource is underexploited especially in the CSP (concentrating solar power) arena because of the high investment and lack of stable investment incentives. CSP hybrid plants provide an option to improve returns from CSP installations because of lower specific investment. This paper investigates the generation potential and most prospective regions for 5-60 MWe CSP hybrids using forestry residues, bagasse, stubble, wood waste and refuse derived fuels in locations with a direct normal irradiance >18 MJ/m2/day. Different plant efficiencies are used to identify the overall electricity potential for single and multiple feedstocks systems. The EfB (energy from biomass) or EfW (energy from waste) components of the hybrid plants considered are assumed to allow base load operation with the CSP components providing additional capacity during the day. The total CSP-EfB & EfW hybrid potential in Australia, within 50 km of existing transmission and distribution infrastructure, is 7000 MWe which would require an investment of AU$ 39.5b to annually generate 33.5 TWh. This is equivalent to 12.8% of all electricity generated in 2008-2009 or 74% of Australia's 2020 renewable energy target. The CO2 abatement potential of CSP-EfB & EfW hybrids is up to 27 Mt or 4.8% of all 2009-10 CO2 emissions. It is well understood that the cost of concentrating solar power (CSP) will need to decrease quickly to ensure competitiveness with photovoltaic (PV) systems and other forms of power generation. Research and development on CSP plant components is crucial in order to reduce costs but is typically time consuming. New CSP plant concepts combining proven technologies with CSP represent another option that can be implemented quickly. This paper investigates the use of several biomass materials to externally superheat steam in conventional parabolic trough plants. Currently, parabolic trough plants are easiest to finance and external steam superheating can overcome the lower efficiencies compared to other CSP technologies. Seven scenarios, each air and water cooled, with steam parameters ranging from 380 °C at 100 bar to 540 °C at 130 bar have been modeled, and the results presented here are based on a 50 MWe plant with 7.5 h molten salt thermal storage. Our results show that the peak solar to electricity net efficiency increases up to 10.5% while the specific investment can decrease immediately from AU$8.2m/MWe to AU$6.3m/MWe, a 23.5% reduction. That is significant considering the expected 1740% CSP cost reduction targets by the end of this decade. The modeling shows that even major fuel and water price changes are significantly less relevant than small changes in the agreed electricity purchase price. The technical, economic and environmental analysis reveals that external superheating with biomass can provide significant benefits, is able to use a variety of fuels and despite a limited global market, could immediately enable the implementation of several hundred MWe of CSP capacity at lower cost. This assessment compares 9 CSP technologies for solid fuels and 11 for natural gas. ? Results derive from data from literature, industry contacts, own calculations and workshop. ? Multi-criteria decision making (Analytical Hierarchy Process) to combine quantitative and qualitative data. ? For lower temperature steam integration, Fresnel and parabolic trough (thermal oil) score best. ? High temperature steam integration favours solar towers (direct steam generation & molten salt). Peterseim, J. & White, S. 2013, 'A hybrid energy-from-waste station', Inside Waste, vol. August, pp. 24-24. Peterseim, J., Tadros, A., White, S. & Hellwig, U. 2012, 'Creating solar and natural gas synergies', Gas Today Australia, vol. February, pp. 62-64. Peterseim, J. 2012, 'Solar tower ISCC: Stacking up the benefits (Part 1)', CSP Today, vol. 13 April. Peterseim, J. 2012, 'Solar tower ISCC: Stacking up the benefits (Part 2)', CSP Today, vol. 18 May. © 2016 Author(s).This paper analyses the potential to optimize high temperature fluid back-up systems for concentrating solar power (CSP) plants by investigating the cost impact of component capacity and the impact of using multiple fuels on annual generation. Until now back-up heaters have been limited to 20MWth capacity but larger units have been realised in other industries. Installing larger units yields economy-of-scale benefits through improved manufacturing, optimised transport, and minimized on-site installation work. Halving the number of back-up boilers can yield cost reduction of 23% while minimizing plant complexity and on-site construction risk. However, to achieve these benefits it is important to adapt the back-up heaters to the plant's requirements (load change, capacity, minimum load, etc.) and design for manufacture, transport and assembly. Despite the fact that biomass availability is decreasing with increasing direct normal irradiance (DNI), some biomass is available in areas suitable for CSP plants. The use of these biomass resources is beneficial to maximise annual renewable energy generation, substitute natural gas, and use locally/seasonally available biomass resources that may not be used otherwise. Even small biomass quantities of only 50,000 t/a can increase the capacity factor of a 50MWe parabolic trough plant with 7h thermal energy storage from 40 to 49%. This is a valuable increase and such a concept is suitable for new plants and retrofit applications. However, similar to the capacity optimisation of back-up heaters, various design criteria have to be considered to ensure a successful project. © 2016 Author(s).In recent times the interest in solar tower power plants is increasing with various plants being built in the last years and currently under construction, e.g. Ivanpah and Crescent Dunes in the US and Khi Solar One in South Africa. The higher cycle efficiency leads to lower levelised cost of electricity. However, further cost reductions are required and this paper compares a novel and patented solar tower structure with a conventional concrete tower. The novel solar tower design is cable-stayed which has the benefit that the cables absorb a large part of the wind and buckling loads. A tower that has to cope with fewer wind and buckling forces can have a significantly smaller diameter than a concrete tower, which enables workshop manufacture, sea and road transport, and rapid on-site installation. The case study provided in this paper finds that the tower area affected by wind can be reduced by up to 45%, installation time shortened by up to 66%, and tower cost by 20-40%. The novel design allows the construction and transport of the solar tower in few large modules, which are pre-manufactured including piping, cables, platform, ladders etc. The few modules can be assembled and installed rapidly not only lowering plant cost and construction time but also project risk. © 2015 The Authors. Published by Elsevier Ltd. The concentrating solar power (CSP) industry is working intensively on cost reductions to increase the economic competitiveness of CSP plants. Efforts include new power plant concepts, optimised component manufacturing, as well ashigher steam parameter and these indeed lead to cost reductions over the last years. However, further improvements are required and this paper analyses the impact of supercritical steam parameters in CSP plants. A few decades ago the coal industry moved from subcritical Rankine cycle power plants, currently all CSP plants operate at subcritical conditions, to supercritical steam parameters to improve cycle efficiency. Many supercritical coal plants are now in commercial operation with significant engineering experience available in regards to plant design, construction and operation. The CSP industry can use this expertise to reproduce the benefits in their plants but some challenges also exist. Currently, supercritical CSP steam has only been shown at demonstration scale and the upscale to the smallest turbine size for supercritical parameters, being 250 MWe steam turbine capacity, is very significant. This paper compares three different 250 MWe (net) solar tower scenarios, one with subcritical and two with supercritical steam parameters. One supercritical power plant scenario is based on a novel high temperature stable molten salt that allows steam parameter of 620°C at 280 bar and the second uses current molten salt and natural gas to reach supercritical conditions. The analysis shows that the net plant cycle efficiency can be raised from 41.3% in a subcritical to 44.2% in a supercritical concept, which translates into a levelised cost of electricity reduction of 4.3%. Improving power plant performance, availability and operational costs is crucial to remain competitive in todays competitive energy market. The boiler is a key component to achieve these objectives, particularly so when using challenging fuels, such as municipal solid waste or exhaust gases with high dust contents. This paper describes an innovative boiler design that has been used for the first time in an Energy from Waste plant in Bamberg, Germany. The new boiler design disregards the traditional heating surface arrangement and instead uses tube bundles arranged in parallel to the gas flow, which provides several advantages, such as reduced fouling. The paper describes the Bamberg project (boiler design and project highlights) and first operational results after 30,500h of operation. Additionally, the paper investigates further options to reduce fouling through the use of dimpled tubes, especially the ip tube® technology. The technology is presented as well as first test results of such tubes in the Energy from Waste plant Rosenheim, Germany. The paper concludes with further applications for the parallel flow boiler design, such as cement kilns, to outline future markets. In Australia both natural gas and an excellent solar irradiance are abundant energy sources and its combination is one option to implement concentrating solar power (CSP) systems in Australias traditionally low cost electricity market. The recently introduced carbon pricing mechanism in Australia is likely to steer investment towards combined cycle gas turbine (CCGT) plants. This will also lead to further plants being built in high solar irradiance areas where CSP could provide valuable peak capacity. Hybridisation would enable more competitive power generation than standalone CSP systems as hybrid plants share equipment, such as steam turbine and condenser, therewith lowering the specific investment. This paper investigates the novel hybridization of CCGT and solar tower systems to increase the efficiency of integrated solar combined cycle (ISCC). Currently, all ISCC plants use parabolic trough systems with thermal oil as this technology is most mature. However, increases in plant efficiency, simpler solar tower integration as well as further synergies of solar tower ISCC systems, such as joint use of tower as CCGT stack, are likely to enhance the economic viability of new ISCC plants. In addition to a technical concept description this paper outlines the ideal sites for ISCC plants in Australia and presents a 200MWe ISCC case study with 3h molten salt thermal storage for the conversion of the Port Hedland open cycle gas turbine (OCGT) facility in Western Australia into a solar tower ISCC plant. Peterseim, J., White, S., Hellwig, U., Tadros, A. & Klostermann, F. 2012, 'Concentrated solar power - Energy from waste hybrid plants: Creating synergies', Proceedings of the SolarPACES 2012 Conference - Concentrating Solar Power and Chemical Energy Systems, SolarPACES 2012 Conference - Concentrating Solar Power and Chemical Energy Systems, SolarPACES (Solar Power and Chemical Energy Systems), Marrakech, Morocco, pp. 1-10. Peterseim, J, White, S, Tadros, A & Hellwig, U 2012, 'Integrated Solar Combined Cycle plants using solar power towers to optimise plant performance', Proceedings of the SolarPACES 2012 Conference - Concentrating Solar Power and Chemical Energy Systems, SolarPACES 2012 Conference - Concentrating Solar Power and Chemical Energy Systems, SolarPACES, Marrakech, Morocco, pp. 1-8. Peterseim, J., Hellwig, U., Guthikonda, M. & Widera, P. 2012, 'Quick start-up auxiliary boiler / heater - Optimizing solar thermal plant performance', Proceedings of the SolarPACES 2012 Conference: Concentrating Solar Power and Chemical Energy Systems, SolarPACES 2012 Conference: Concentrating Solar Power and Chemical Energy Systems, SolarPACES, Marrakech, Morocco, pp. 1-8. Hellwig, U., Peterseim, J. & Widera, P. 2011, 'Water circulation calculation for concentrated solar thermal plants', Proceedings from SolarPACES 2011: Concentrating solar power and chemical energy systems, SolarPACES 2011: Concentrating solar power and chemical energy systems, SolarPACES, Granada, Spain, pp. 1-8. Peterseim, J., White, S., Hellwig, U., Tadros, A. & Vanz, E. Institute for Sustainable Futures, UTS 2012, Pre-feasibility study for a multi-fuel / concentrated solar power hybrid plant at Swanbank, QLD, Sydney, Australia. Peterseim, J & Peterseim, J 2015, 'Increasing solar tower competitiveness: An analysis of different supercritical steam concepts', CSP Today. The CSP industry is working intensively to improve its competitiveness and it has made great efforts, ranging from component manufacturing optimisation and lower parasitic consumption to higher cycle efficiency. These have indeed led to significant cost reductions over the last years.